The entire team at the ibis Saint Germain en Laye hotel looks forward to welcoming you. Whether you are staying for business, tourism or with family, we will make every effort to ensure your stay is a complete success. 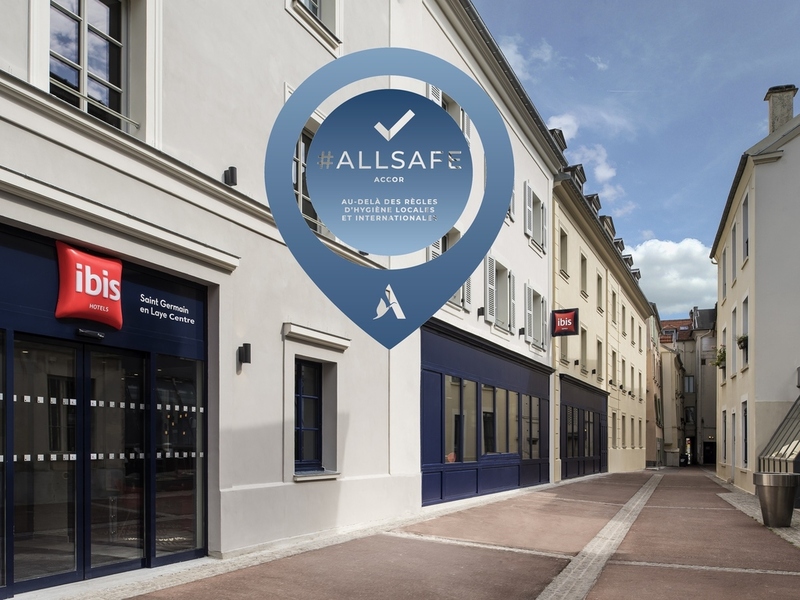 Located in the town center, close to the forest, the ibis Saint Germain en Laye hotel welcomes you for a business trip or family stay. The hotel offers 61 air-conditioned rooms with a modern and comfortable design and enjoys an ideal location close to a wide choice of restaurants, shops and cultural attractions such as the Château de Saint-Germain-en-Laye. With 24-hour service, the hotel bar invites you to relax and offers a selection of food and drinks. In the center of Saint-Germain-en-Laye, 20 minutes from La Défense via RER A and 9.3 miles (15 km) from Paris. You'll love the Château de Saint-Germain-en-Laye and its park, as well as the city center, shops and forest walks. Our bar is a friendly place where you can relax any time of day. We offer a selection of drinks and can prepare a snack at any time if you feel a little hungry.